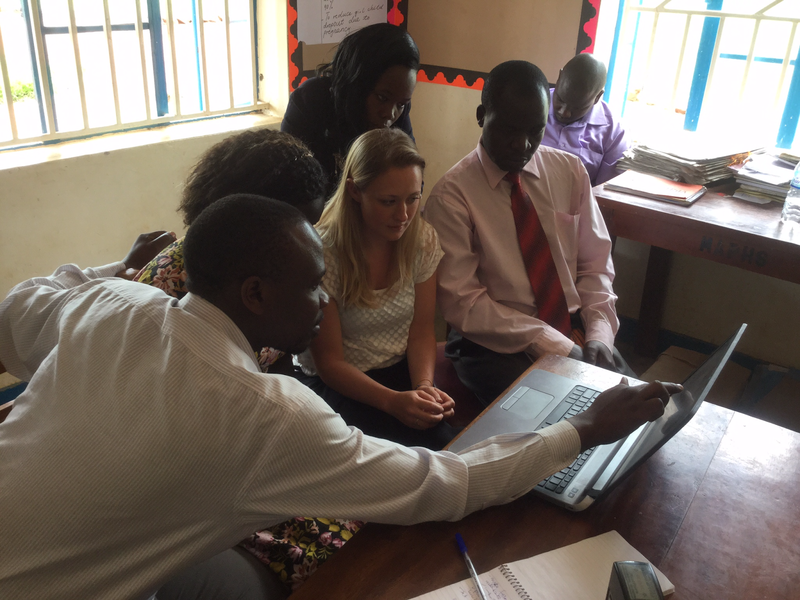 As we wrote last year, some colleagues of mine (Fran and Sunesh) have been working with the PEAS network in Uganda over the past year to get SchoolTool up and running as their School Information System (SIS). It's been a fascinating project, and by helping PEAS deploy SchoolTool in nine schools we've really got to see the product up close. In this blog post, I'll update on progress over the past twelve months. In my next post, I'll reflect on SchoolTool more broadly. Pleasingly, after a year of hands-on experience, our view of SchoolTool remains the same as at the outset: it's an intuitive and easy to use system. Teachers have little trouble getting started, even if they've never used an SIS before. Thanks to its usability, nine PEAS schools are already using it effectively to track student and teacher attendance, and a few trailblazers are also using it to manage assessment. That's big progress, and a testament to all involved (with special mentions to Abraham and Jakub from the PEAS team). I was out in Uganda in the Eastern province in late May, and visited four PEAS schools in Malongo, Mukongoro, Nyero and Ngora. Malongo has had the system live since February and the impact on performance is already evident. Teacher and student attendance has increased, and crucially, the school are thinking through how to take action based on the messages contained in key system reports. Fran facilitated a fabulous conversation in the school around how to improve teacher attendance further. One teacher suggested putting the main teacher attendance report on the staff room wall to encourage shared ownership of performance on this key metric. That's the kind of conversation that makes you know that something good is happening. Mukongoro, Nyero and Ngora all had the system installed during our visit, and broadly speaking, it was a smooth process in each case. The SchoolTool setup process isn't completely intuitive, so we still find that we need technical expertise on hand to be sure that things are established in the right way. That said, we've become accustomed to the potential pitfalls now, so troubleshooting takes minutes / hours, rather than days. Also, the schools had all done a great job of preparing spreadsheets for data upload, which is in many ways the part of the setup process where things are most likely to go wrong. Also, between our team and PEAS, all schools got a solid set of training on how to get started. It was particularly heartening to hear school leaders from these three schools talk about their colleagues in other schools who were already using the system, and how they plan to share knowledge and expertise. Another nice touch was that Fran and Abraham had planned joint training sessions. Since there will only be a few users in each location, shared training works well - as with all systems, everywhere, the trick to high quality adoption is to become part of a community of users sharing experiences. PEAS are well on the way to making this a reality. A final thought: I think it's important to empahasise that in all the schools I visited, the value of data was well understood BEFORE SchoolTool was implemented. See the colourful notice boards in the above picture from Nyero? Well, several of the displays were filled with well-presented tables and charts showing key school metrics. I mention this because it's important to acknowledge that part of the success of our project to date is that we're working with people who already "get" the importance of data. So it's worth remembering that a good deal can be achieved with school data even without a School Information System. The value of SchoolTool is that it streamlines data collection and enhances analysis. Crucially, that then leads to more impactful data action. The object for making group and formation of report is to make group studies. The mind for different comes across and they make something different and extra ordinary with the help of best essay writing services. The sharper and lower mind comes across and same plate form and level produce in extra ordinary project results.